One of the main obstacles to making sense of today’s politics is the insistence of commentators that any shift in political position can only be described as either rightwards or leftwards. This over-simplified and one-dimensional view of the political landscape means that many of the possible directions of political travel – directions that cannot or should not be characterised in such limited terms – are simply not recognised or are overlooked. The use of this language is not entirely accidental. For one thing, it has the advantage for those using it of immediately locating the current orthodoxy in a centrist position, with any departure from it being easily represented as quite literally eccentric. Many Labour politicians, even candidates in the leadership campaign, seem to accept this concept; when they agreeded that Labour needed to change, the only change they could imagine was a move towards “the centre” or, in other words, towards right-wing orthodoxy. The common factor underlying all of these attitudes and sentiments is not their “leftwards” direction, with all its connotations. Some are “left” in some sense, others merely common sense. 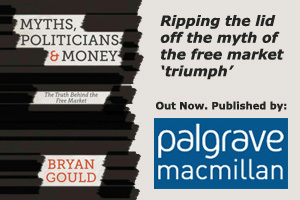 They are linked principally by a common belief that – if the market is allowed always to prevail – there is no role for democracy, since the whole point of electing a government is to ensure that the harsh doctrines of the “free” market are moderated in the wider interest. The message is that, while the market serves the powerful, government serves everyone. Corbyn’s appeal to the voters is the best evidence so far that the “free-market” hegemony that has held us all – and not least Labour politicians – in thrall for so long is now on the wane. Corbyn’s task now is to show that he will not head back into an old left laager and will not require the wagons to be drawn up in a circle. Instead, he must combine old and enduring values with a new conviction – supported by credible and workable policy – that the power of government can and must be used in the common interest. He has already made a good start. He has taken good advice and earned support from leading economists who are part of the new mainstream. Those Labour politicians who have been so outraged by his success that they have refused to serve on his front bench would do well to help him in that task, rather than endorse a language and an analysis – a triumph of label over substance – that so clearly serves the interests of the privileged. On National Radio news and interviews, by Guyon Espiner for example, Corbyn is regularly labelled as “hard left”. In other words, he’s an extremist. At the same time the Act party, which seems to me to be pretty extreme, is tagged “centre right”. It tells you a lot about where we’ve got to. Can you not get The Guardian to print this piece? Many of their opinion pieces fall into the dismal category that you have described. It especially appears that it’s new chief editor (Katherine Viner) wears the mental straightjacket with some relish. Its supposed straight reporting is also tainted. It is so easy for lazy journalists to cover trivia, like not singing the National Anthem. Meantime they fail to cover so many issues that need depth and stimulating involvement of their readers – vis the controversies over PQE, debt financing, and balanced (and even in surplus) budgets (the falacious likening of sovereign countries with households), and just a host of social issues.